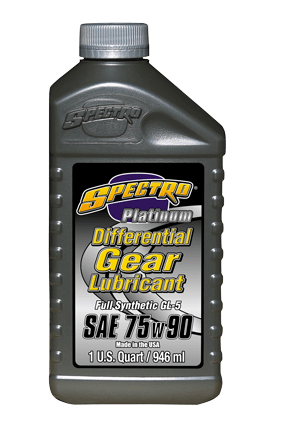 Platinum Full Synthetic Gear Oil provides tremendous lubrication protection in extreme heat conditions. It is crafted to dramatically reduce drag at all temperature ranges, provide exceptional oxidation stability, and provide total protection to gears and bearings. It reduces friction losses, wear, and extends gear life. Recommended for applications calling for GL-5 or Hypoid quality lubricants.